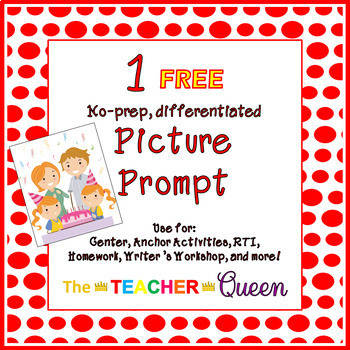 This is a sample of one picture prompt that is in my bundle, "Primary Themed No-prep, Differentiated Picture Prompts." 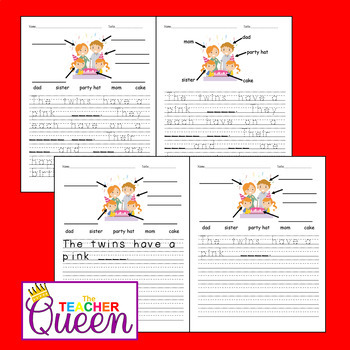 This picture prompt is differentiated to fit the needs of the different levels of students in your classroom. You can use this in any grade. 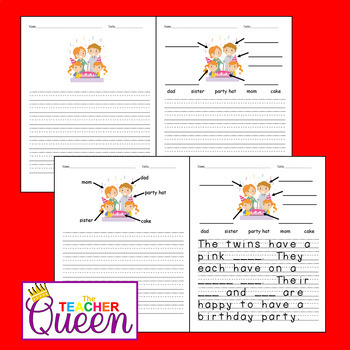 This can be used for a writing center, writing homework, an anchor activity, and more.